Meet Shannon. Just two years old, he is smart, funny and determined. He has a consistent communication struggle he and his family have been challenged with. As he starts to find his voice he struggles to string words together. You may think this is just an age appropriate challenge. However, Shannon’s mother, Kalen, felt her son’s struggle. 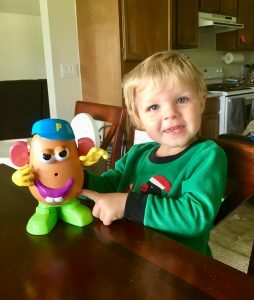 She noticed he can say “bye” and he can say “dada.” However, when he tries to put the two words together, things break down and this happy little boy, so eager to communicate, gets frustrated. Kalen, a former high school math teacher, decided Shannon needed some extra help. She researched her options in the community and reached out to FSSWH to see if we could be of assistance. 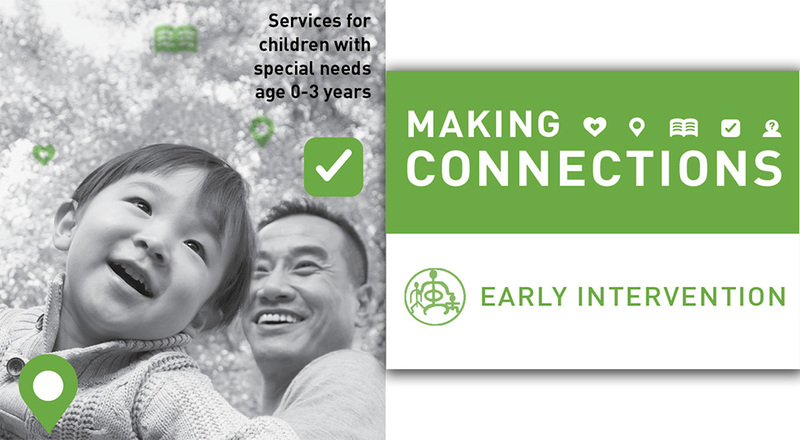 Shannon was evaluated by an EIS Care Coordinator for eligibility of Early Intervention Services. They confirmed Shannon’s development was right on track, but he struggled with expressive communication. At the first session, our therapist, Raina, talked in great length with Kalen and answered all of her questions. By the second meeting, a detailed list was compiled of the words that Shannon could say and how he said them. By the third meeting, Kalen ordered a set of Kaufman cards, had taken a three hour online course (asked Raina to do the same) and a plan was put forth. Using the cards, Shannon is able to work with the sounds, syllable, and shapes that he then can systematically build on, getting closer to target words. Shannon names the various colorful cards with enthusiasm and great accomplishment. He has sessions twice a day every day, Mom and Dad working together on the days Raina is not there. Shannon has slowly, but steadily been adding new sounds, syllables, and shapes to his vocabulary and building up his confidence as he continues to find his voice.